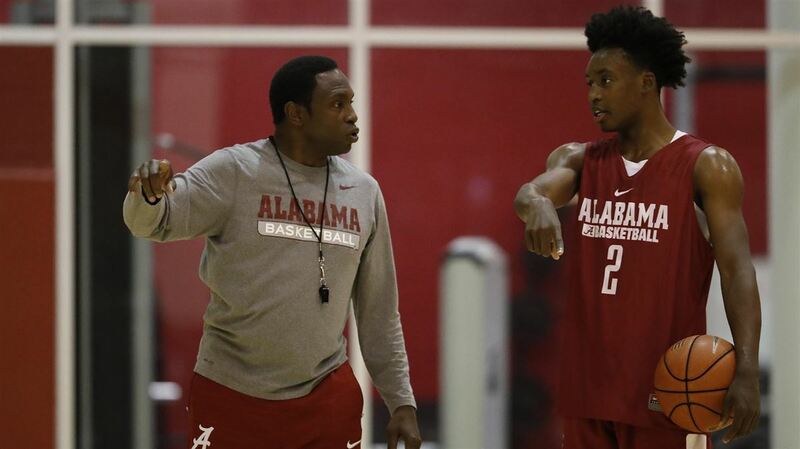 Alabama Head Coach Avery Johnson Talks Potential Collin Sexton/ LeBron James Pairing On ESPN's First Take: "Give This Young Man A Chance"
For about the last week, the buzz around the Cleveland Cavaliers has revolved around two things. The first being the future of LeBron James, the latter being the first-round draft selection of Alabama point guard Collin Sexton. Cleveland took Sexton with the eighth overall pick last Thursday in the 2018 NBA Draft after months of pondering whether to make the pick or trade it for other assets. Alabama head coach Avery Johnson joined ESPN’s “First Take” program to talk about his former point guard. First off, Johnson was asked what he would tell LeBron about Sexton to convince him to stay. “Collin is a player that can take a lot of pressure off of LeBron,” Johnson said. “I thought that the Cavs would make it back to the Finals without Kyrie Irving but I knew it would be tough for them to win the championship without Kyrie. As great as LeBron is on the floor and all of his different exploits- playing in every game this year, 51-point games, triple-doubles, he’s a great teammate- but he needs somebody else that can create their own shot, he needs somebody else that can take some pressure off of him and Collin is an unbelievable offensive player. But at the same time, he plays both sides of the ball. he’s really good defensively. Johnson was then polled on what fans should expect to see if LeBron does indeed decide to pair up with Sexton next year. Sexton is an intriguing prospect, one that instantly provides quickness, playmaking, and athleticism from the jump. But the discussion that worries most is Sexton’s ability to hit shots from testier range. The 19-year old didn’t exactly shoot the lights out for the Crimson Tide but did give them scoring in bunches, nonetheless. But could he be a sufficient shooter at the professional level? It could be a lot of fun to watch LeBron and Sexton next season, should they team up. But before any of that can even become a reality for the rookie, Sexton must first turn his attention to the NBA Summer League. Meanwhile, The King continues to weigh his options as to where he should play next year.